Welcome to my Free Reads page. I’ll be adding to this page when I get the time so check back often or sign up for my Monthly Newsletter, where I always announce new free reads. 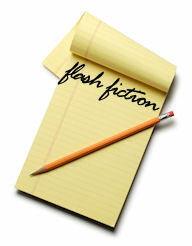 A collection of all 17 of my Flash Fictions. The main menu shows the ‘prompt’ each flash fic was based on. A collection of 5 Flash Fictions based on The Wicked Series stories. Paige Foster planned the perfect get-together for her best friends from high school in honor of their ten-year class reunion but her plans go up in smoke when an impromptu trip to The Pleasure Dome, an elite club that features the hottest male dancers in the country, ends up on their to-do-list. Forced into going, she complains until she meets Simon—the main attraction. When Simon looks into the audience before his act and sees familiar faces from his past, he has second thoughts about his performance—until he sees Paige and old memories come flooding back. Knowing she won’t recognize him as the shy, awkward boy he used to be, he breaks club rules and pulls her to the stage during his act. The heat they generate doesn’t dim when the lights go down and what should have been a one-night stand turns out to be something more. Will Paige accept Simon when she finds out who he really is or will the secret be the end of their affair? In a world where the supernatural isn’t supposed to exist, one woman comes face to face with the monsters and fights to survive their call. Investigative reporter Rayna Ford is sent to the small community of Wolf’s Creek to write an expose on a town supposedly over run with werewolves. Assuming the inhabitants to be under a mass delusion, she learns quickly that all isn’t as it seems. Their plans involve more than a newspaper article and her life hangs in the balance as their motive for luring her to them is revealed. Garrett Kincaid knows a thing or two about werewolves. He is one. After leaving his pack, he’s spent the last twelve years pretending to be something he isn’t. His closely guarded secret threatens to destroy him when he meets Rayna Ford, the woman his wolf has claimed as his own. When he learns the pack has lured Rayna to them in order to get to him, he races to Wolf’s Creek to protect her from the very thing he fears the most. Himself. The power struggle within the pack becomes clear once Garrett reaches his old home and learns of the pack’s plans for Rayna. The beast lurking beneath his skin is torn between protecting the woman he wants to call mate and keeping the balance within the pack on neutral ground. When choosing a side no longer matters, he does what he must to save his mate, even if that means making one of the most difficult decisions of his life. When the stakes are high, and lives hang in the balance, can you ignore life as you know it to answer… The Calling. Exclusive Newsletter only story release! A love that transcends time. A Passion that couldn’t be denied. Caitlyn Edwards has always lived her life between two worlds. One…in the hustle and bustle of modern day Boston, where she spends her days taking care of her widowed father and helping him run their small auto repair shop. The other…in the arms of a man she only sees in her dreams. Her nights are filled with promises of a love so passionate, she’s spent the last fifteen years trying to find out who he is. William Davenport is a man torn between duty and what he wants. He’s led a life only the privileged and very rich can afford, but his controlling father still feels the need to dictate his every move. A chance encounter with Caitlyn triggers dreams of a life he can’t remember living and soon a woman he can’t seem to forget, starts to invade his every day world. Will Caitlyn and William discover their past in time to change their future? Will the mistakes of years gone by repeat themselves? Or will a love once denied be reunited? Abigail Thornton doesn’t think things can get any worse. That is until a single slap to a man’s face starts a barroom brawl that lands her in the last place she expected to be. Town Marshal Morgan Avery wants nothing more than to wash away the trail-dust and sleep for a week, preferably with a soft, willing woman by his side. Instead, he gets Abigail Thornton – all one hundred pounds of her thrust at him seconds before a fist connects with his face. Breaking up the fight takes more effort than he wants to admit and when the last man falls he finds Abigail still standing and not looking the least bit contrite. Throwing her into the town jail for the night would salve his wounded pride and then he will let her go. Or that was the plan. When morning comes he finds himself oddly reluctant to do so. Miss Thornton is hiding something and he aims to find out what, even if he has to bed her to do so. But will one night in her bed be enough?